You did it! Finally, your manuscript is finished! Months, possibly years of hard work and eventually, it is done. You rewrote, edited and reshaped this baby more than anyone else knows. You poured your heart and soul into this project. You gave it everything; every spare moment, every tiny bit of creativity you could squeeze from a jam-packed schedule. You incorporated feedback from beta readers. Put down your pen, your work is done. Deep inside, you are certain your manuscript has wings, you just have to let it go. So, what’s the next step? Send your manuscript to literary agents? Cold call all the big publishing houses you’ve discovered on Google? Send your work to your favourite publishing house and look for ways to kill time during the long wait? Consider self-publishing? Or, gasp, vanity publishing? People, there is another way. Gather in close. Listen carefully, while I share my take on how to get published as a first-time, green about the gills, author. Reality check: you know you’re not going to get rich off your books right? There’s only a few J.K. Rowlings or E.L. James or Dan Browns. Anyway, it isn’t earthly riches you seek. It’s the ‘P’ word. That’s right, for you, it’s all about publication. Publication is tangible proof that someone other than your mother believes in you. Publication is proof you have talent. So much so, that a publisher is going to take you on; invest in you. They’ll shove cold, hard cash behind you. They’ll invest in you; in your manuscript; in the words you’ve sweated over, cried over, poured your life’s blood into. Forget big publishing houses. They’re your future but not your today. Forget literary agents, for the moment. Now is your season of the small, independent publishing house. You will meet passionate, highly-driven individuals. They will rejoice in your potential. You will form strong working partnerships. Small independent publishing houses will become your home: they will be the birthplace of your publication dreams. I met my publisher online. See, it does happen. My manuscript didn’t languish in the slush pile of an agent or publisher. I didn’t have to wait for weeks or months to find out how my manuscript had fared at an acquisitions meeting. The CEO of Aulexic read my manuscript firsthand and contacted me straight away. We didn’t meet in the plush offices of a tall office tower; we met for coffee, surrounded by books, in the comfy armchairs of an independent bookstore. The process was quick, smooth and stress-free. Aulexic founder and CEO, Rebecca Laffar-Smith, and I became working partners. At some stage during the process of birthing a book, we became family. We sifted through tens upon tens, of book cover designs together. We crossed out words and wrote new ones, together. We explored and discussed venue options for the book launch. Rebecca supported me in my writer struggles and I hope, I supported her too. We attended functions together. It seems that publication had made us a team. Throughout the production process, I had the opportunity to offer input. For instance, I helped narrow down the choice of book covers. Our final cover was market tested and we’re both pleased with the end result. I couldn’t imagine a better cover or a better title. My journey working with a small publishing house is ongoing. We are working together to have my book included in the school curriculum in my home state. My drive to publication has been exhilarating and empowering. Publication has lifted a huge burden from me. My writing has been acknowledged and I am free to work on the craft of writing. I have been published. I will be published again, but for now, it is time to get on with the business of growing my writing. 1. Independent publishing houses have a shorter production process than traditional publishing. Small presses can launch a book within six months. 2. Author contracts offered by small publishing houses generally have more generous terms and authors can be offered higher royalties. 3. Small presses work hard to form close working relationships with their authors. Independent publishers often take time to nurture authors. Signing authors requires a significant investment from the publisher so they go out of their way to help authors establish themselves within the industry and to develop their author platforms. 4. Authors have more scope for input into the production process with small publishing houses. 5. Small presses typically have fewer books on their catalogue which means they promote their books for longer. Independent presses are motivated to foster their titles. 6. Small presses are better able to take risks than traditional publishers. They are uniquely placed to push genre boundaries, change trends and bring books to market that would never normally see the light of day by traditional routes. 7. Historically, traditional publishers pull back on marketing after the first six weeks of a book’s release. Small presses continue to market their catalogue for months and years. 8. Signing with a small publishing house provides mentoring opportunities. Small presses may commission you to write another book and may help you to develop your writing abilities. 9. If you sign with a local independent publisher, you will have plenty of face-to-face contact with your publisher. 10. Independent presses have direct connections with their buyers and readers and enjoy close relationships with their distributors. So what are you waiting for? Go on. Submit your manuscript to an independent publisher. It could be the first step in establishing a flourishing business relationship with a small press. Rebecca Laffar-Smith is the founder and publisher of Aulexic, a small publishing house that specialises in books and resources for children with language and literacy difficulties. Their books inspire a love of story and words, help families and teachers foster a love of reading in all children, and empower people who face challenges learning to read and write. 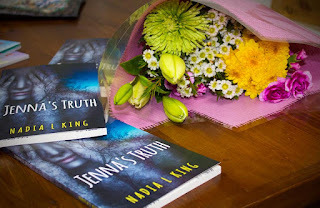 Nadia L King was born in Dublin, Ireland, in the 1970s. She reads voraciously and enthusiastically. She is an overexcited person who adores words and writes short stories amongst other things. 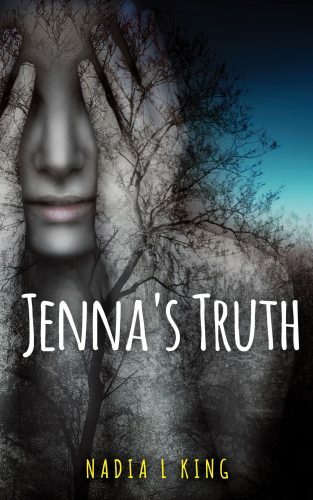 Her first book 'Jenna’s Truth' is published by Aulexic and is a powerful tool to arm teens against bullying. Nadia lives near the Swan River in Western Australia.